Jupiter, Mars and Saturn are in the evening sky now, next to the centre of our Milky Way galaxy. 5.45pm Viewing at the telescopes, open fire and warm drinks and food available. 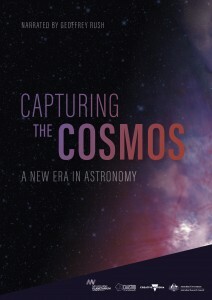 The new Australian planetarium show Capturing the Cosmos, has been made possible through a partnership between Melbourne Planetarium and the ARC Centre of Excellence for All-Sky Astrophysics CAASTRO, a collaboration of seven universities involving the University of Sydney, the Australian National University, the University of Melbourne, Swinburne University, the University of Queensland, the University of Western Australia and Curtin University. 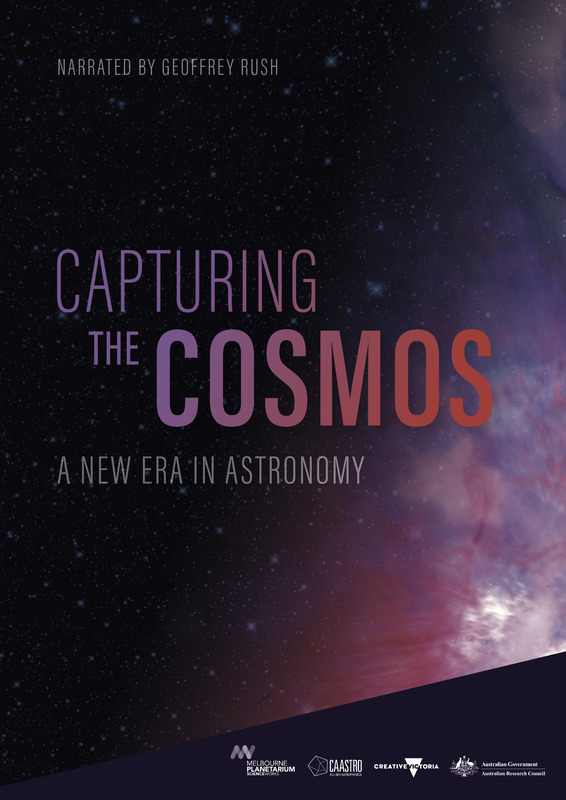 CAASTRO and the Melbourne Planetarium have jointly funded the production and have worked together to create a stunning show that highlights the current research being carried out by CAASTRO astronomers as they search the sky in ways never before possible. Narrated by Academy Award winning actor Geoffrey Rush and including wonderful time-lapse photography by Alex Cherney, the 25-minute show has all the high quality production values expected of a Melbourne Planetarium production. “Capturing the Cosmos is a marvellous visual piece that showcases cutting edge astronomical technology and highlights Australia’s contribution to unravelling the mysteries of the Universe. CAASTRO has a “big sky” approach to astronomy. It tackles the big questions in astronomy that can only be answered by observing as much of the southern sky as possible. It’s a wonderful fit for the planetarium, as we can immerse audiences into the grandness of the night sky and the richness of the data collected by CAASTRO astronomers. The show focuses on two new and innovative Australian telescopes. One is the SkyMapper telescope in Siding Spring Observatory, NSW. This automated telescope is continually scanning the sky, detecting changes as distant objects rapidly brighten or fade away. The sky is a lot more dynamic than we can ever experience for ourselves. The show focuses on SkyMapper’s search for Type 1a supernovae that can help us better understand the mystery of dark energy. The other telescope is the Murchison Widefield Array, a radio telescope located in Western Australia. Capturing the Cosmos reveals to the audience the radio sky that the MWA sees. Gone are the usual stars that fill the night sky and instead we see the Milky Way as a bright thin band of hot hydrogen gas, and the tiny dots scattered randomly across the sky are not stars, but distant galaxies. Their bright radio emission is a consequence of each galaxy’s central black hole. The MWA is one of the first telescopes that can peer into the very distant past and help us understand how the first stars and galaxies lit up the universe.